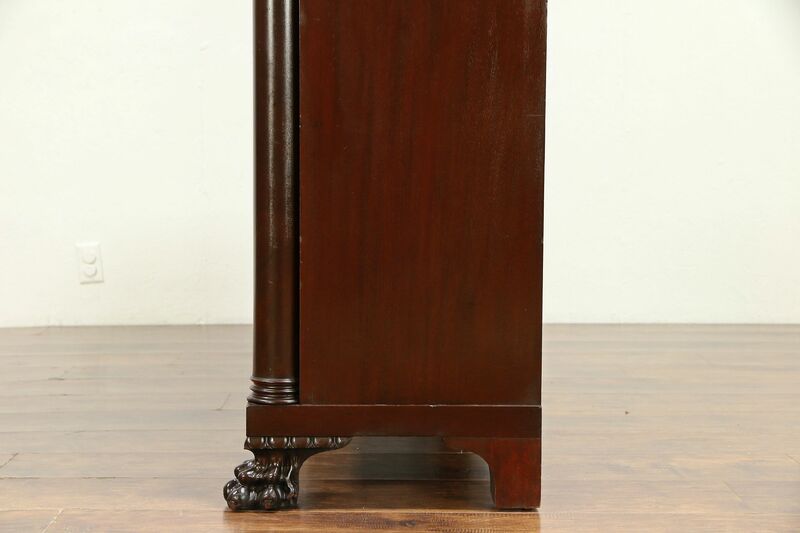 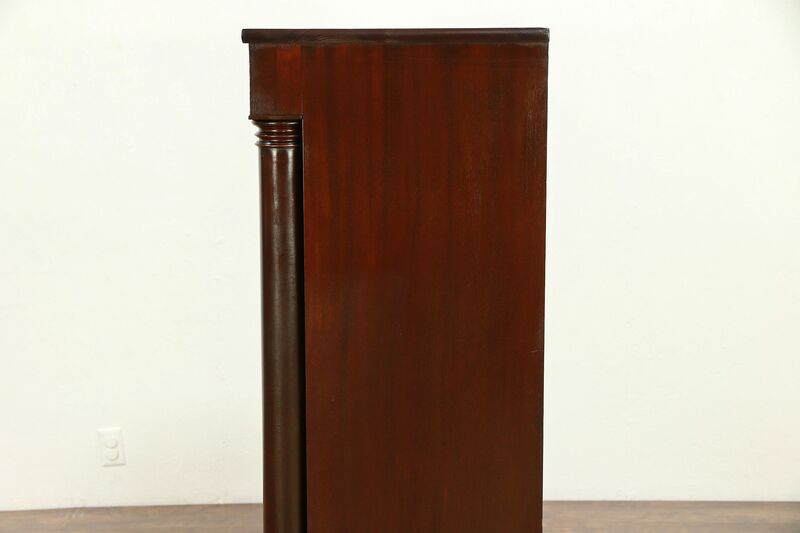 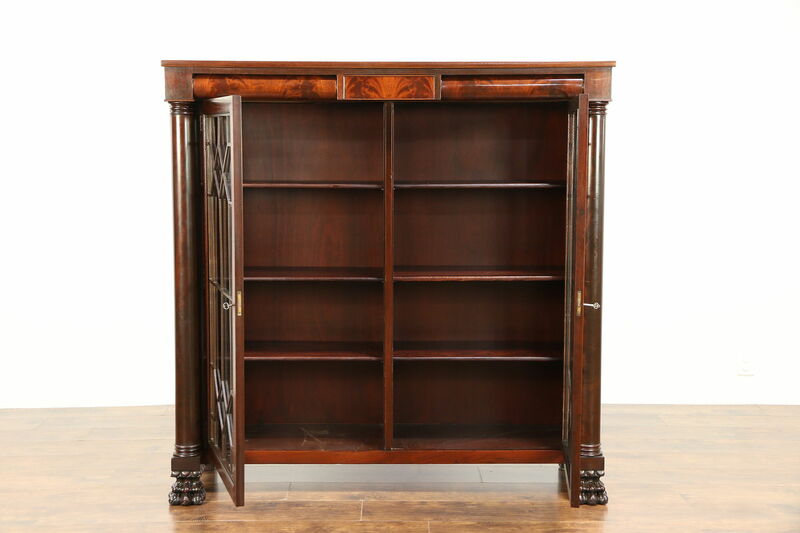 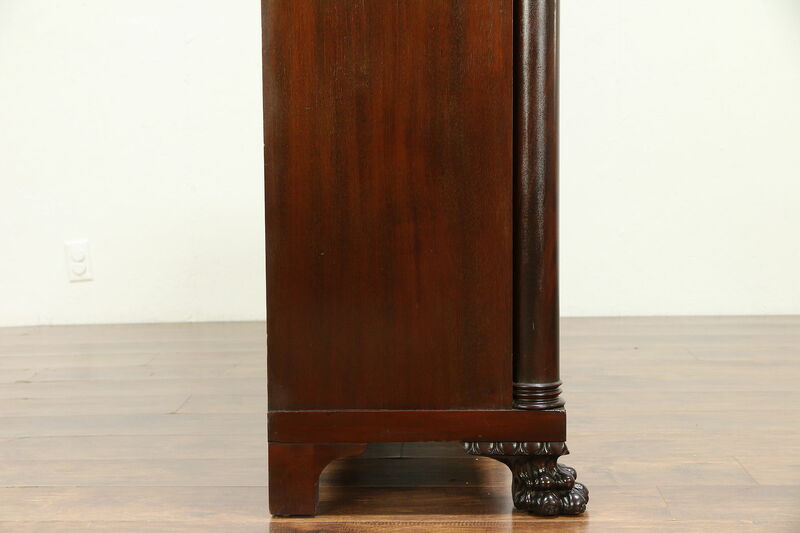 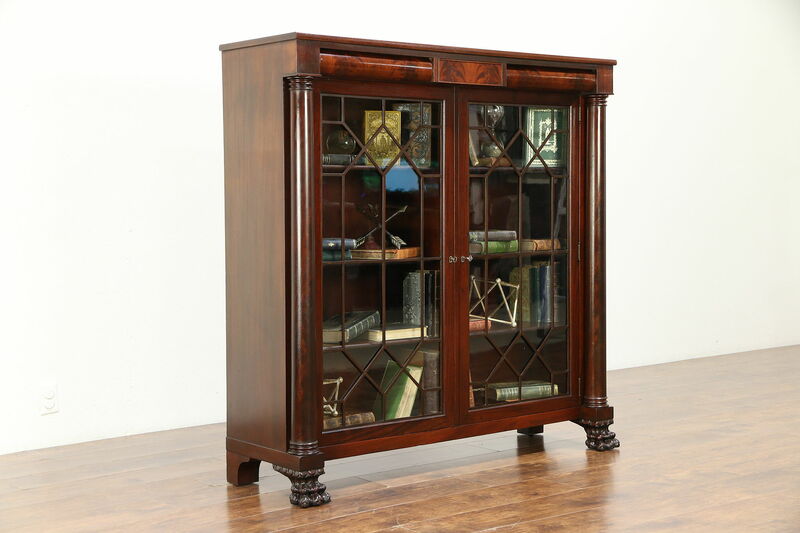 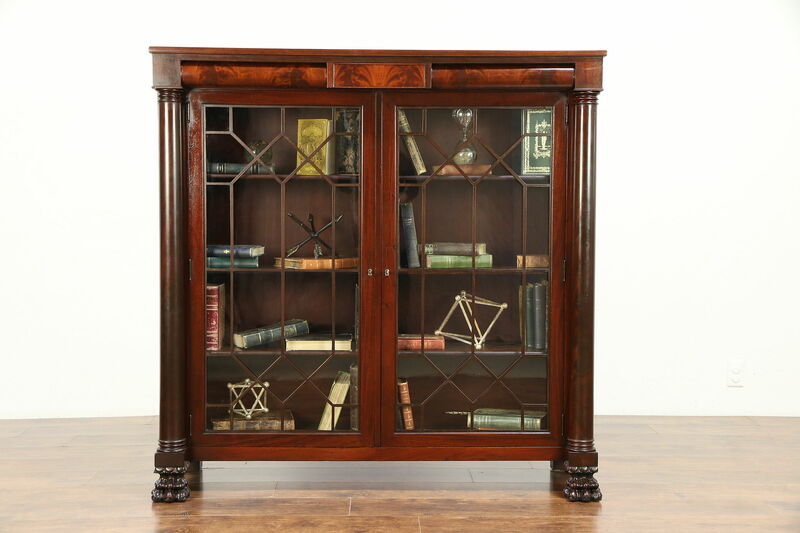 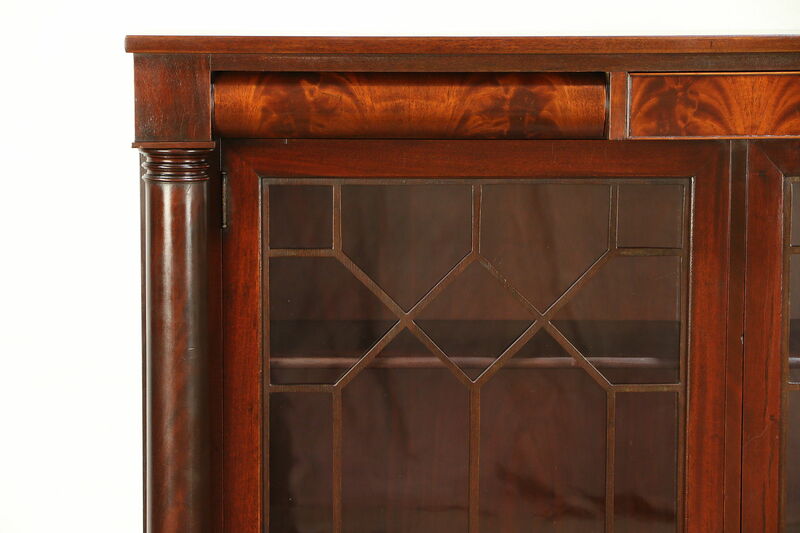 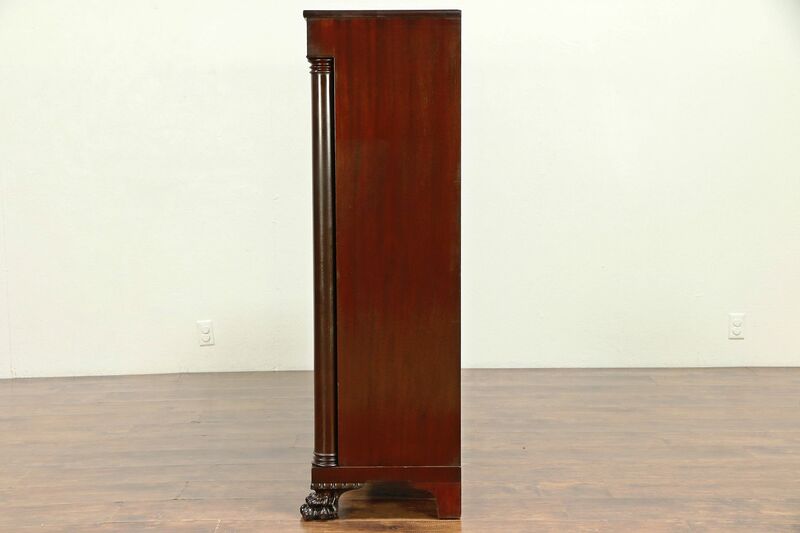 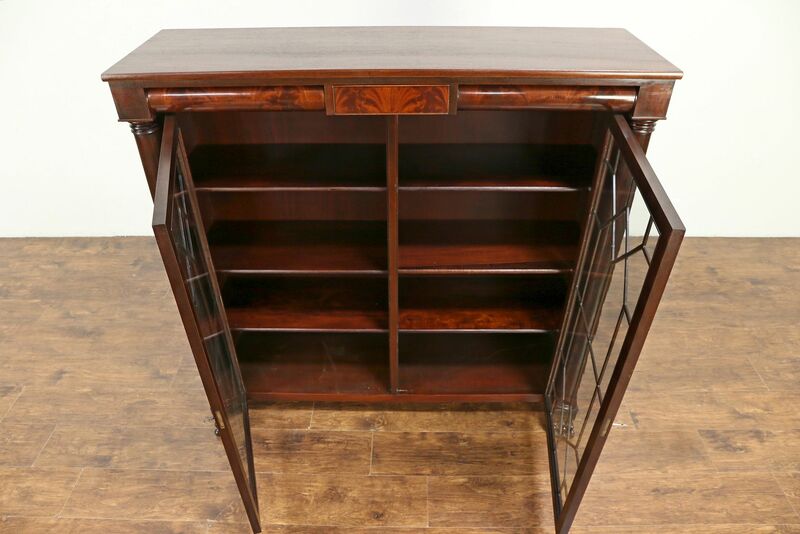 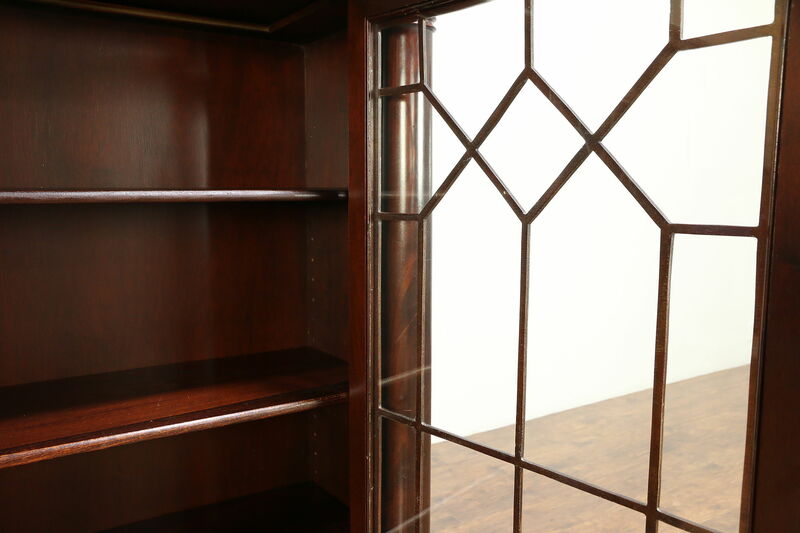 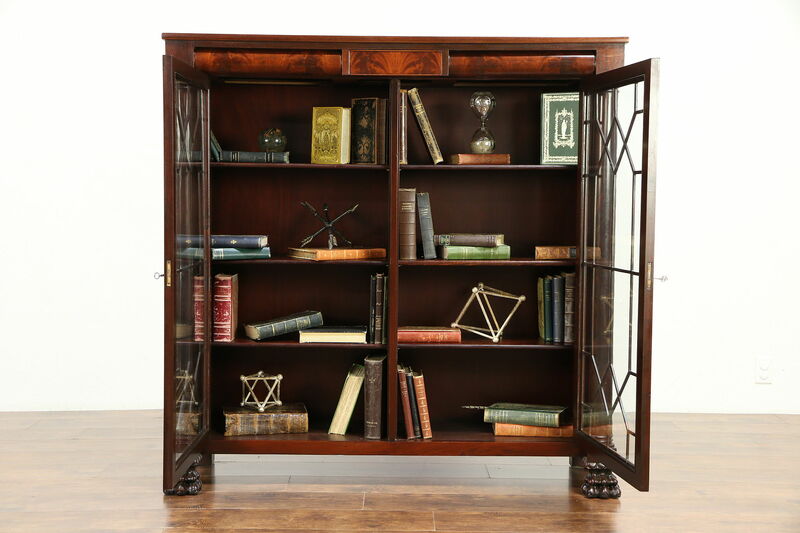 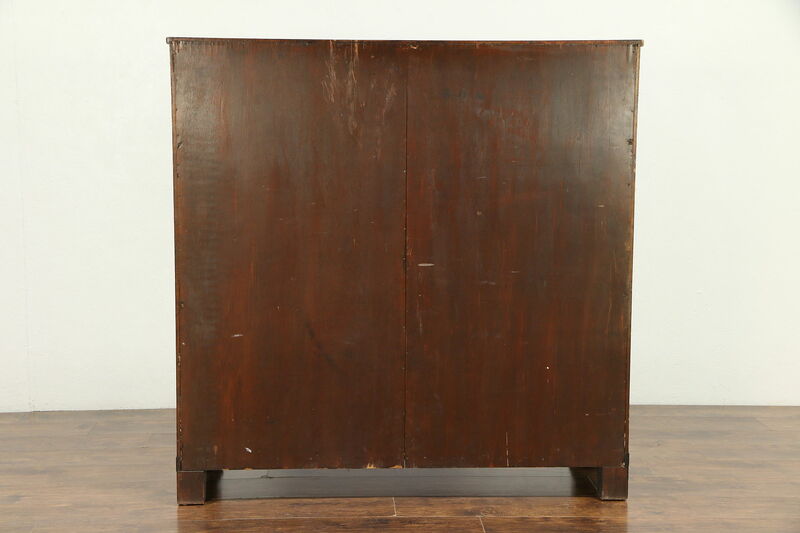 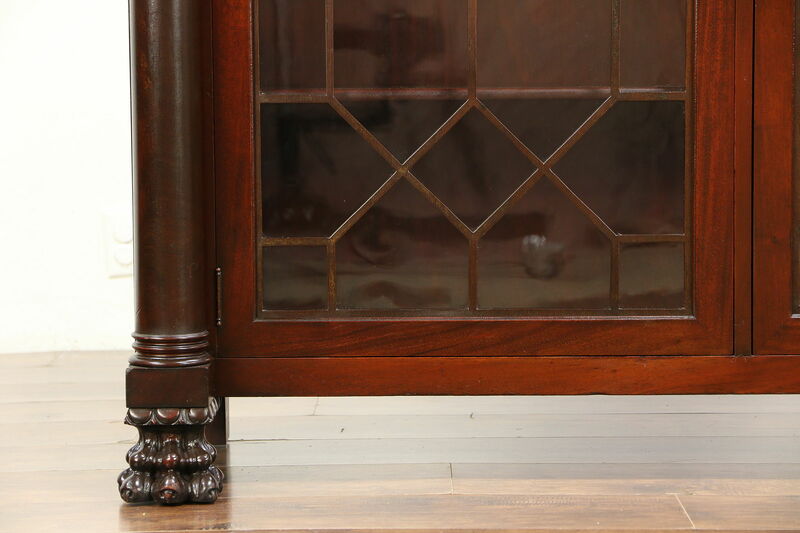 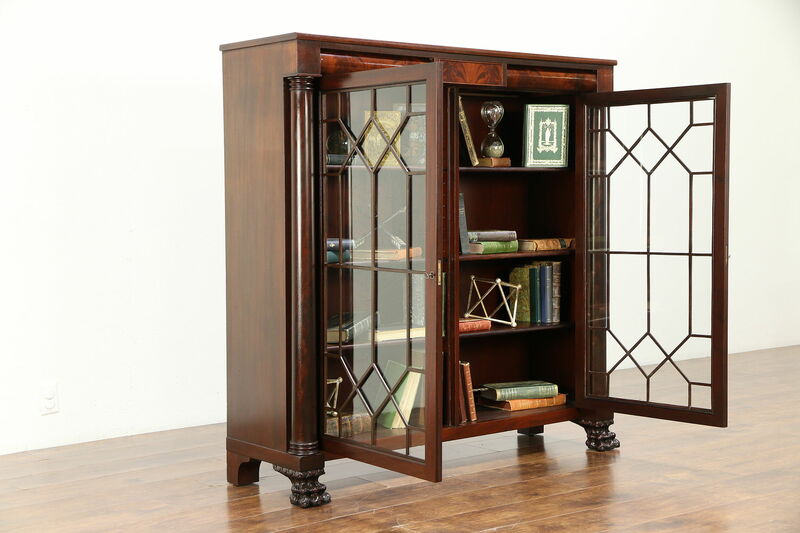 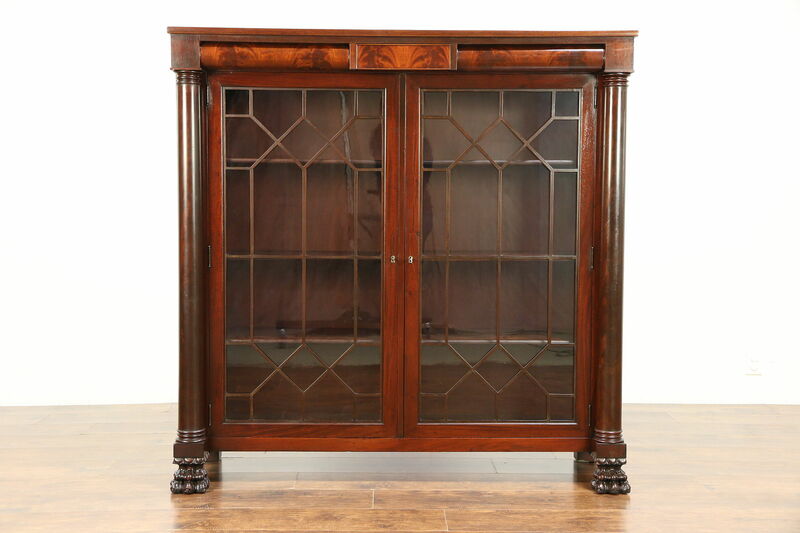 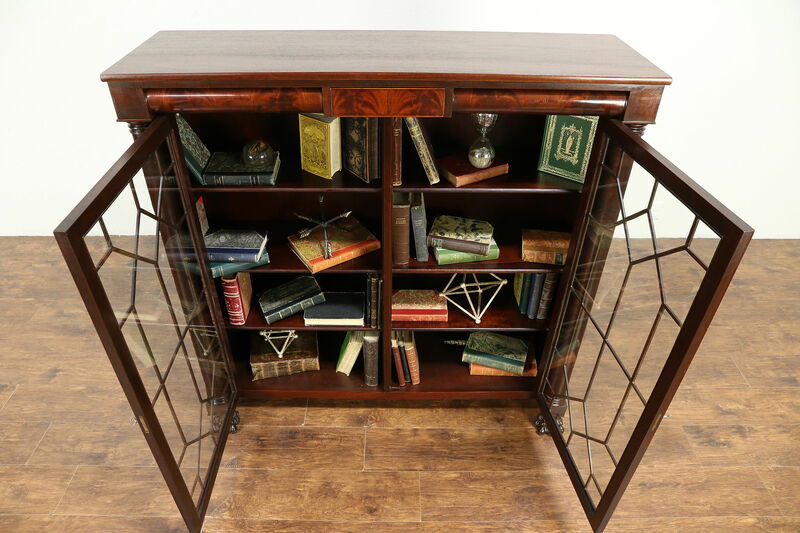 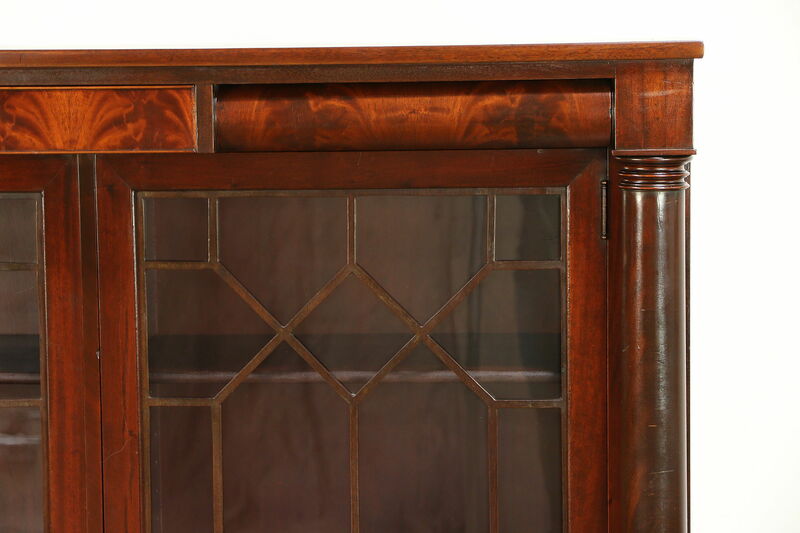 An Empire bookcase was crafted of mahogany about 1910, and has three secret drawers. 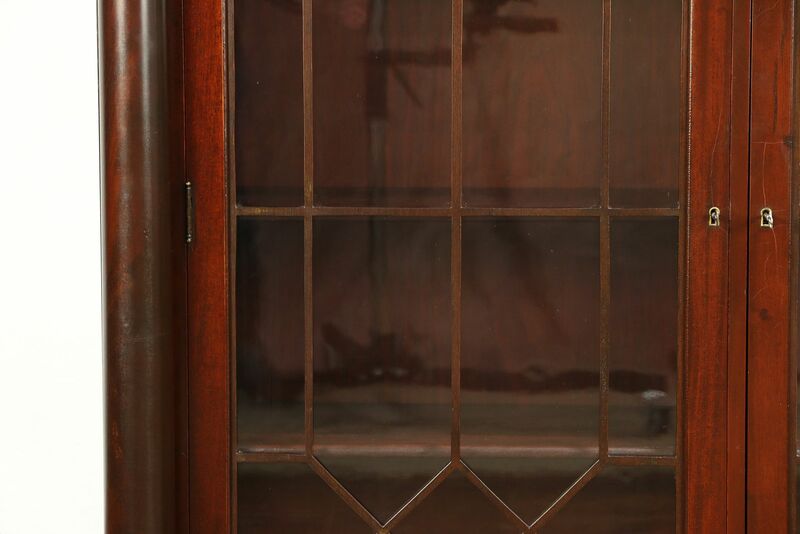 Doors have original grill work and wavy glass. 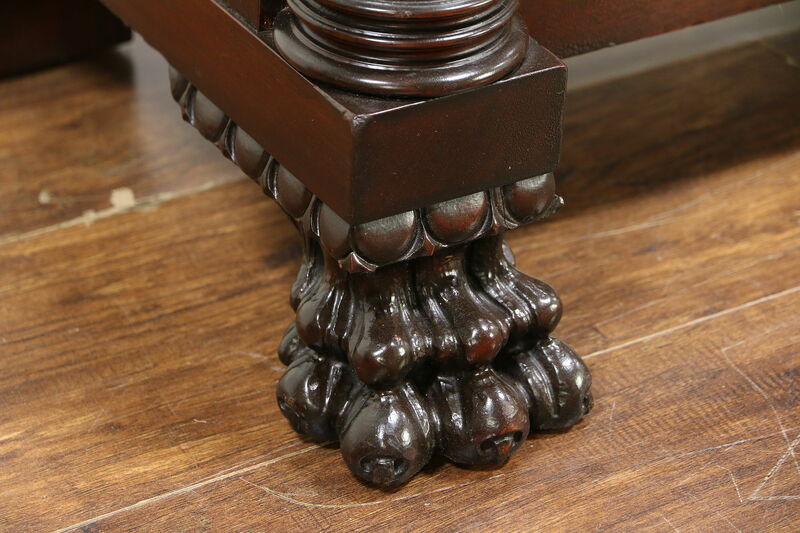 Shaped columns and carved lion paw feet are imposing. 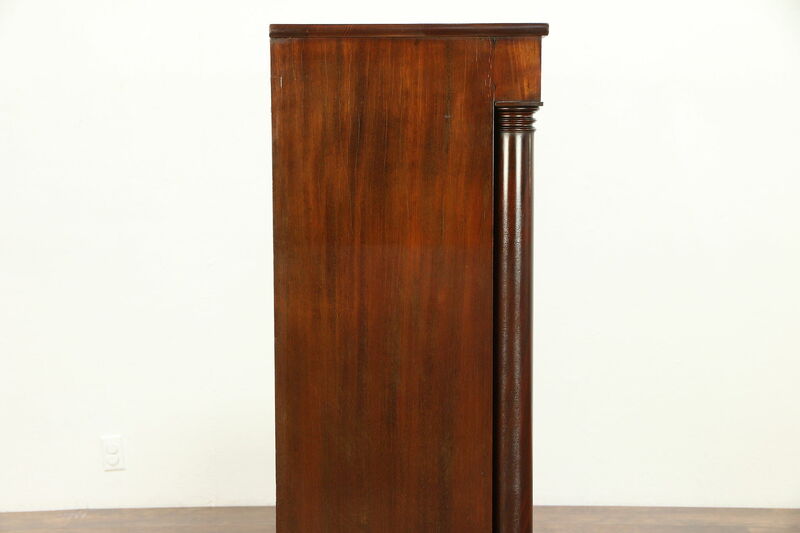 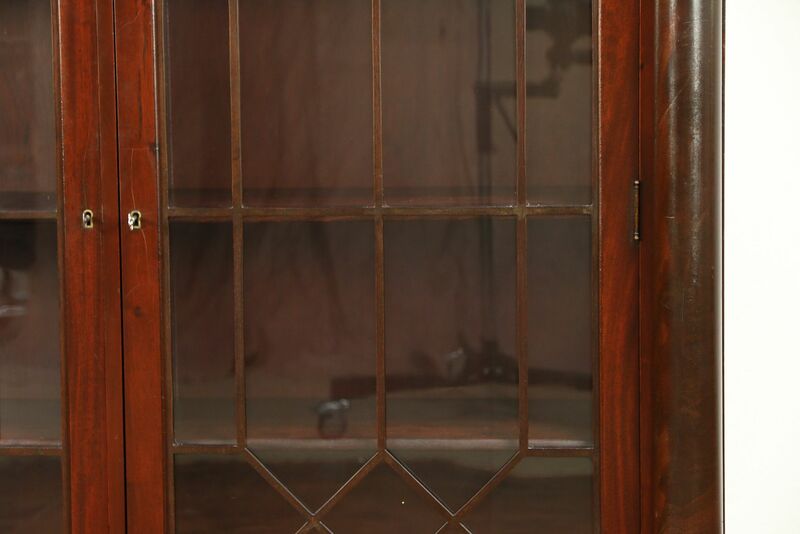 The restored deep finish is in excellent condition, preserving minor mars at the edges for a little antique character. 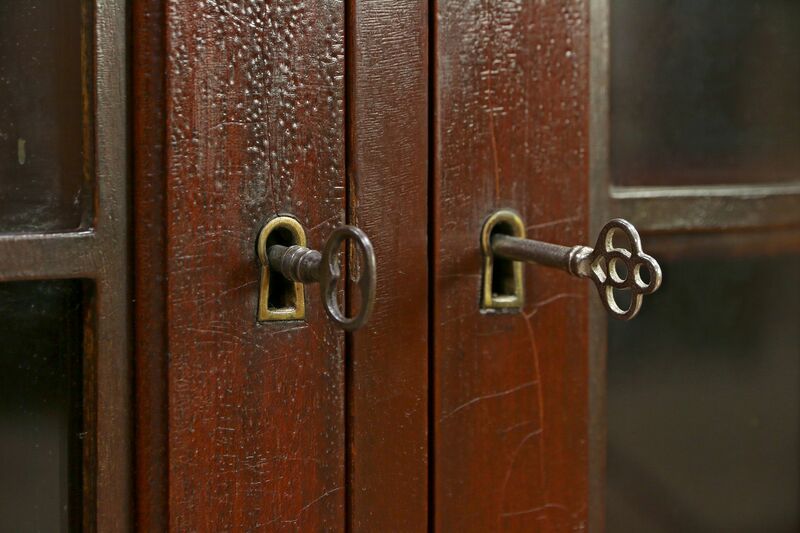 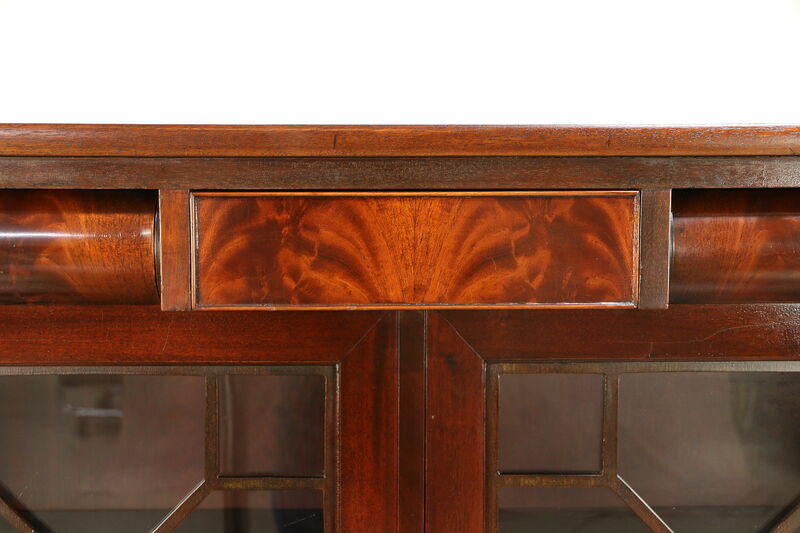 Drawers have matched flame grain fronts and dovetail joints on this antique American made library furniture. 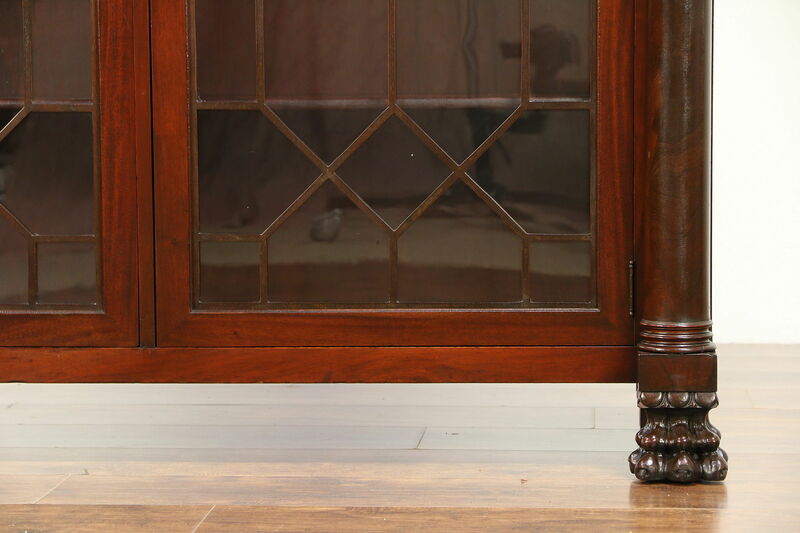 Two separate banks of shelves are adjustable, each door has a key. 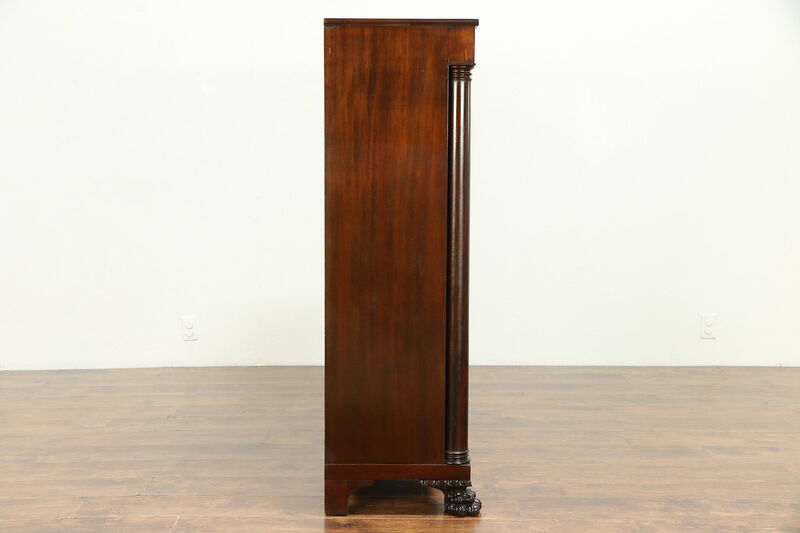 Size is 55" wide, 17" deep, and 55 1/2" tall.